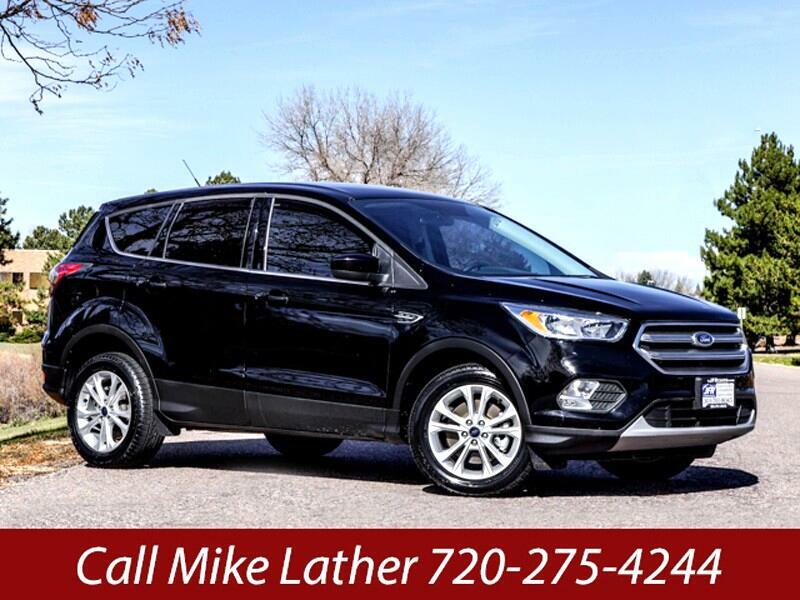 Used 2017 Ford Escape SE 4WD for Sale in Littleton CO 80120 JFR & Associates, Inc. The Startling Truth Is... There Are A Lot Of SUVs To Choose From Today — Here's Why This Escape Is A Smart Choice. This Ford Escape comes with respectable fuel economy and a spacious cargo bay for all your stuff. You'll love the All-Wheel-Drive system when old man winter gets here. Because when the snow starts to fly this SUV can take you where ever you need to go and get you back home safe and sound. You and your passengers will appreciate the overall comfort and the smooth ride of this SUV. It's also one of the better-handling SUVs on the road today. All the controls are within easy reach so you can focus on your driving. The build quality is excellent with durable materials that can last the test of time. Take this baby for a spin and discover for yourself how beautiful this Escape handles.